A rich, illuminating compilation of selected and new poems from Marilyn Chin, one of our most celebrated poets. 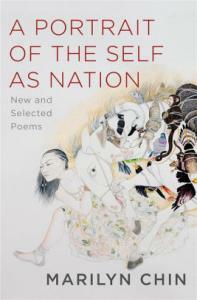 Spanning thirty years of dazzling work—from luminous early love lyrics to often-anthologized Asian American identity anthems, from political and subversive hybrid forms to feminist manifestos—A Portrait of the Self as Nation is a selection from one of America’s most original and vital voices. Direct and sometimes confrontational, Marilyn Chin’s forceful approach to her signature themes of cultural assimilation, feminism, and identity is necessary and stylistically masterful. "Bold and unapologetic, the work shows why [Marilyn Chin] has been a prominent voice in American poetry over the last three decades — and how she has evolved as a literary activist. Ranging from clear, radiant lyrics to experimental, subversive pieces, A Portrait of the Self as a Nation illustrates 'that this wild-girl poet is engaged in perpetual renewal and that there is more raucous work to come.'"